For students just beginning their journeys toward an undergraduate degree, there are several important considerations to keep in mind when deciding upon a major: available funding, demand for the degree received, and career opportunities upon graduation are among the most important. In light of these considerations, one of the most popular decisions among international students studying in the United States is to pursue an undergraduate degree in computer science. There are many reasons that a computer science major is the third most popular decision for international students coming to the US, and this article will help identify a few key considerations to make research into where to pursue an undergraduate degree in computer science more easy and effective. 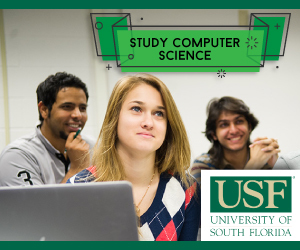 A typical undergraduate degree in computer science takes around four years to complete, and will vary in cost depending on the state and institution at which the computer science major is located. However, due to the majority of colleges offering a computer science major, students will surely be able to find a program with a tuition rate that fits their budget! International students who want to pursue an undergraduate degree in computer science will have to establish their own personalized criteria to decide between the many highly regarded and highly funded computer science programs. Some central points to consider when deciding where to pursue a computer science major are: 1) the reputation of the institution and job placement rate of graduates, 2) the amount of funding/financial assistance that is available to undergraduate students (and international students will also need to confirm that they are eligible for such financial assistance! ), and 3) the specific concentration and specialization of the faculty and department to see what type of ongoing research projects are available at the institution. Deciding upon a computer science major, in many cases, is a sound financial investment. The undergraduate degree in computer science is, in terms of career prospects, one of the most in-demand, lucrative, and stable options for today's college graduates. In fact, this has lead institutions in some states (such as Washington, South Carolina, Virginia, and Tennessee), to consider implementing what is known as differential tuition or, charging specific majors more tuition than others based on their future salary potential in their career. Most computer science departments boast graduate job-placement rates at above 80% (a very impressive figure) and most of those entry-level jobs have very attractive starting salaries. The need for computer science majors is primarily due to the ever-increasing number of diverse jobs that require an undergraduate degree in computer science. The exceptionally high starting salaries associated with these abundant positions are a key factor in drawing international students to the field. In fact, computer science graduates are among the highest paid majors, according to Money Magazine. Computer science is also one of the best-funded and most internationally renowned fields within US academics. US undergraduate degrees in computer science are internationally respected and valued by employers for their academic rigor, and seven of the top ten computer science schools in the world are in the United States! Due to the fact that nearly every industry is becoming increasingly reliant upon computers, applications for a computer science degree are many. These varied applications prompt program specialization in certain sub-disciplines within the field of computer science. An international student interested in participating in the research projects currently ongoing at the university they will choose to attend should look into the specializations of a prospective program to get an idea as to what kind of contributions to the field are being made there. The sub-fields in which programs specialize are: Computing Systems, Computing Theory, Programming Language, and Artificial Intelligence.